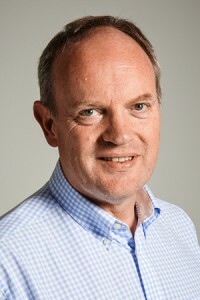 Jon Wragg, a former senior executive at Shop Direct and Asda, is one of two new non-executive director appointments to be made by MAG (Manchester Airports Group). Wragg has over 30 years’ experience in the retail sector and is currently responsible for the global e-commerce, wholesale and digital marketing functions of the FTSE 250-listed SuperGroup plc. He was previously multichannel director and commercial director at Asda and new business development director at Shop Direct. Also appointed is Cath Schefer, a civil engineer, who is currently a senior executive with MWH Global. MAG says the duo will provide "invaluable expertise" as it embarks on the £1bn Manchester Airport Transformation Programme (MANTP) while also developing its online and e-commerce offering as part of the newly established MAG Online business unit. Sir Adrian Montague, MAG chairman, said: "I am delighted to welcome Cath and Jon to the Board as Non-Executive Directors. They have a wealth of relevant experience in areas that are key to the continued growth and success of the Manchester Airports Group and I am sure they will both make a significant contribution to the development of the Group's strategy looking forward."